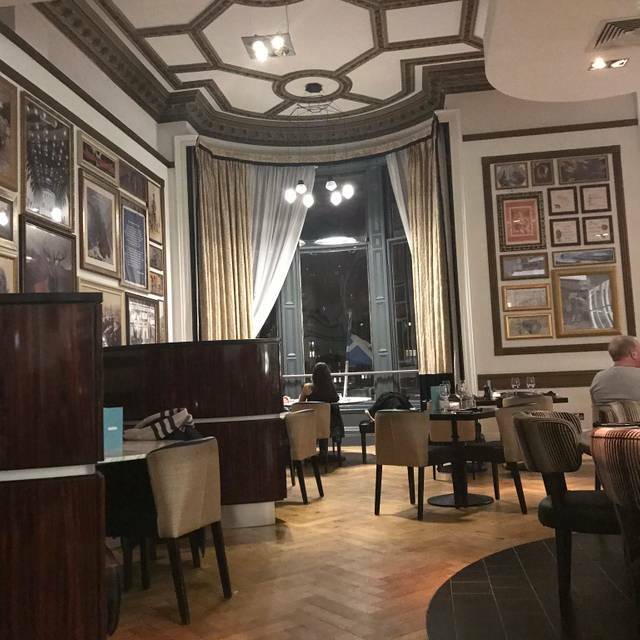 Twenty Princes Street presents an elegant and stunning setting that is sure to bewitch even the most cosmopolitan of patrons with a seamless mix of traditional elegance and contemporary design. A distinguishing feature of the restaurant is the lush, capacious banquettes carefully positioned to make the most of the vistas. And with massive triple-height windows that offer picture perfect views of the skyline. Chef Elzane Louwrens demonstrates his culinary flair with an inventive and eclectic menu that keeps pace with the seasons and uses the finest locally sourced ingredients. There’s an exciting choice of fish and seafood dishes while the selection of steaks are a signature of the restaurant. 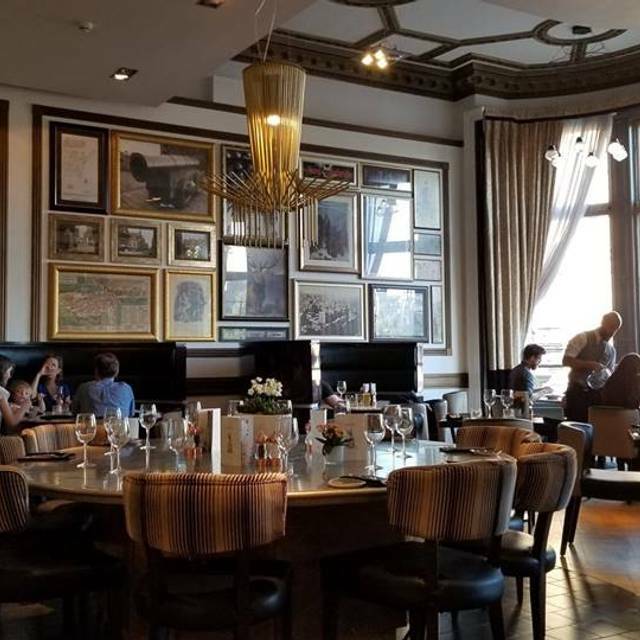 This restaurant offering guests a trendy and sophisticated hangout whatever the occasion, where dining is refreshingly informal and an atmosphere that’s glamorous but not glitzy. And for pre- or post-prandial drinks and conversations, our bar Juniper is the perfect destination. 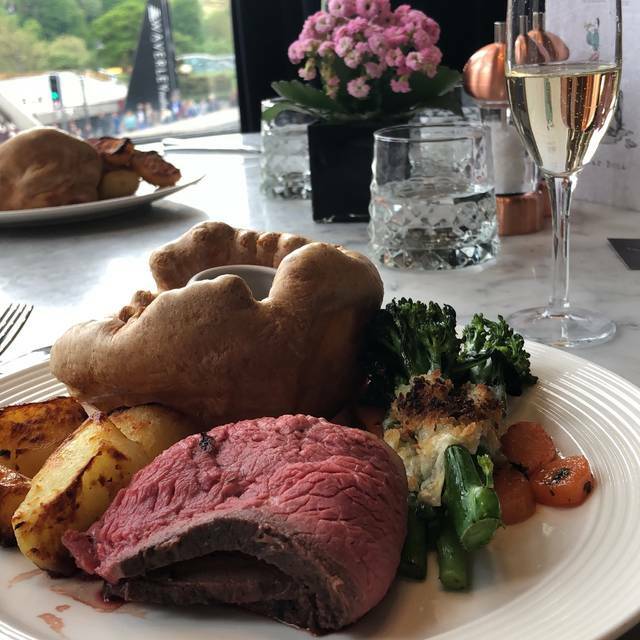 Choice of individual roasts & roasts to share with all the trimmings, perfectly complemented by a selection of divine starters and puddings. This is a nice restaurant but we were a little disappointed on Sunday. On arrival I felt that I was hushed up a bit abruptly until the young lady on front of house was ready to deal with me though she was perfectly friendly after that incident. 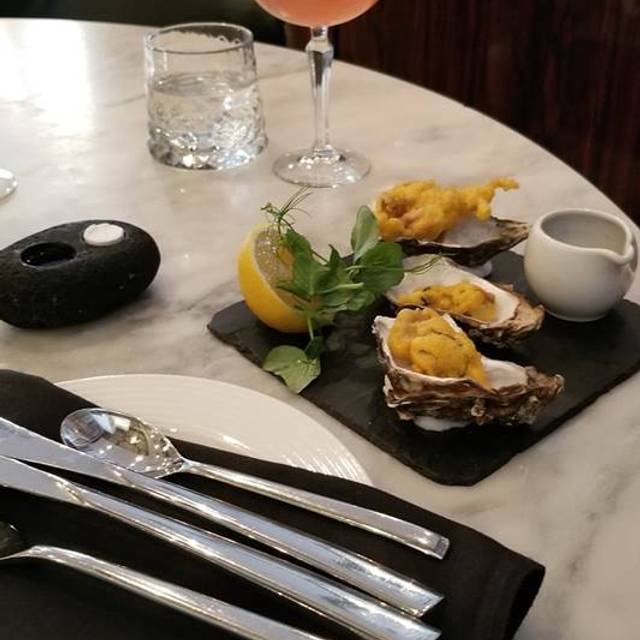 There was a mistake with the starters - we ordered squid to share from the nibbles and sharers and thought this would come first. Then black pudding and haggis french toast each to follow. Squid and one french toast arrived together and there was a few minutes wait till the second portion arrived with no real apology and in fact the first portion should have been taken away and 2 fresh portions served together. The chicken was really very dry and therefore disappointing the lamb though a bit inelegantly served was nice enough. I was surprised that when the bill came they had charged us for both of the french toast starters - I would have expected 1 to be knocked off the bill due to their mistake. The cost of the starter was approx 10% of the bill and so unfortunately for the staff I withheld the gratuity. Service hadn't been that great and the chicken was poor - I doubt that we will be back but it could just have been an off day. I hear that the restaurant is to be refurbed so maybe an improvement will be seen next time. I have marked all aspects as good but it just wasn't that great. My wife and I went to this restaurant given the good reviews and we were not disappointed. Actually the food was exquisitely prepared and the service was excellent. It’s a really great option in Edinburgh. Previous visit had been very enjoyable but this time there were too many mistakes. The bar lost our order, half the food was excellent, the other half was badly overcooked. The staff were apologetic and the inedible part was replaced, but it spoiled the whole visit. We did have the best table in the restaurant though (in the window). best steak I´ve ever had, super personal and friendly service, beautiful location, had an absolutely fabulous time! thank you so much to everybody!!! will definitely come back soon! Absolutely fantastic food, very well presented! Staff were very helpful and friendly. I will definitely be back. 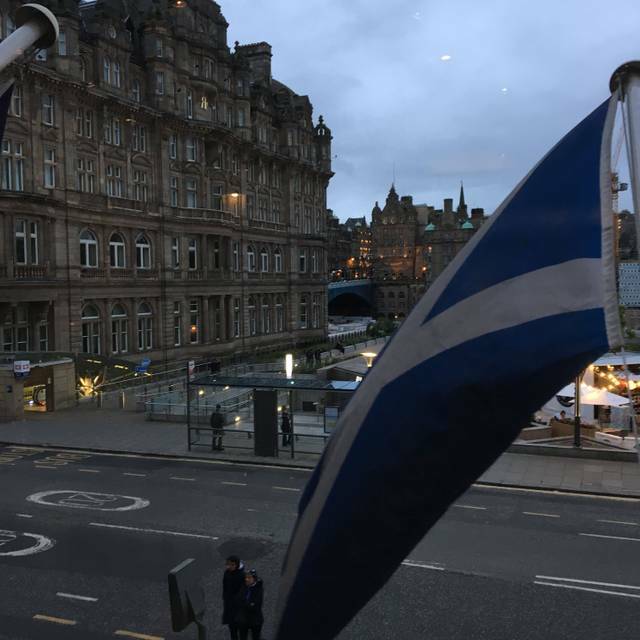 Loved our first visit to 20 Princes Street. Food, Service, Ambience and Views just great. Hope to be back soon! We waited ages for someone to give us a menu. Then ages to take our drinks order. We requested our food on plates but came on wooden boards. Had to go back. My Caesar salad was soft lettuce not cos, and brown at the ends. Not the best experience - there was six of us. We were recommended this restaurant by a local who is a serious foodie - we can only assume it was having an ‘off’ night. There was a limited choice since they had sold out of so much. My husband’s lamb dish was average. I had the worst vegan burger - no substance, over spiced, flabby white burger bun with a bit of limp lettuce fries were uninspiring. Served on a mock wooden platter (it was plastic) so I felt I was eating at a bad McDonalds. The cocktail was very good though. Views of the castle magical at night. Great venue - shame about the food! I’ve been to Twenty Princes Street a few times, but felt slightly let down on this occasion. The service was lacking slightly. Our waitress seemed confused when delivering our drinks, and had mixed these up with another table. Some of the food on the plate wasn’t as hot as it could be, we sat with empty plates I front of us for a good 10-15mins before they were taken away and waited another 5-10mins for the dessert menus that we had been offered. It all just seemed a little disjointed which is a real shame. Waited 15 mins then had to ask a waiter to take our drinks order, ordered 2 steaks and some olives to start, steaks arrived 10 mins later, starter missed completely, no steak knives. Disappointing considering the reviews the restaurant appears to have, and also the fact we only had one night in Edinburgh so decided to book a few days in advance. Fab location, really good service. Only reason not five star review is my partner disappointed with his choice. Steak sandwich was under seasoned and meat cut too thickly for a sandwich. We’ll be back. I love eating here! 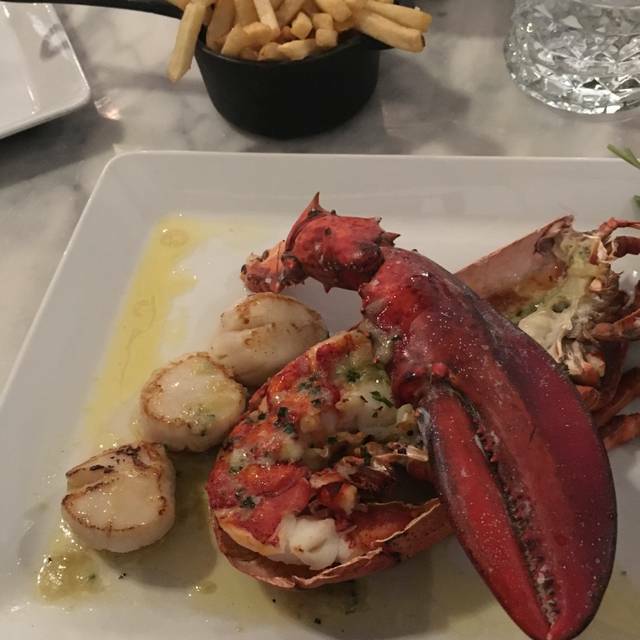 Fantastic food, great food and impeccable service! A beautiful mother’s day Sunday lunch. The roast was delicious along with all starters order which were enjoyed by everyone in our party. The drinks were also fantastic. This was our second Sunday lunch and all together the 4th maybe 5th time we’ve dined here and we will continue to return. Great service. Staff was very attentive and friendly. Food was presented fantastically and tasted amazing. Great experience overall and would go back / recommend. Had a lovely evening at twenty princess street, however we ordered from the 2 main and 2 drinks menu and didn’t get our drinks! Would still go back. Excellent as usual. Only one small gripe to prevent me from giving 5 stars to everything this time - my order was incomplete and I had to remind the server that Nachos and a dip should have come with the dish, but this was quickly rectified so not a big issue. Great food just slow service. The waiters and waitresses were lovely though, think it was unfortunately out of their hands. Service was a bit sparse. Food was lovely but service was slow and poor. Feel it was overpriced as let down by the service and drinks. Had a lovely lunch with friends, food very good and service excellent - The Portugese waiter was excellent - Filipe. Table was very nice at the window. Would definitely recommend to friends. Lunch was very tasty and good value. The service was good. The only negative was the state of the bar adjoining the restaurant. Tables has not been wiped and the seats were dirty. Needs a refresh. Poor service in an empty restaurant with dirty tables, 20 minutes for drinks and steaks that were overcooked, salad straight from Tesco. Side dishes were bland. The whole restaurant seems to becoming into disrepair... staff are very abrupt and rude. Over priced and not good enough... avoid! With a booking made for 8pm it seemed a long time to wait until 8.30pm to get a rink and then 9pm for our order to be taken. Once order was taken though then it was efficient and great and the food is totally amazing. This is the second time we have been whilst visiting from Aberdeen as we loved it the first time. 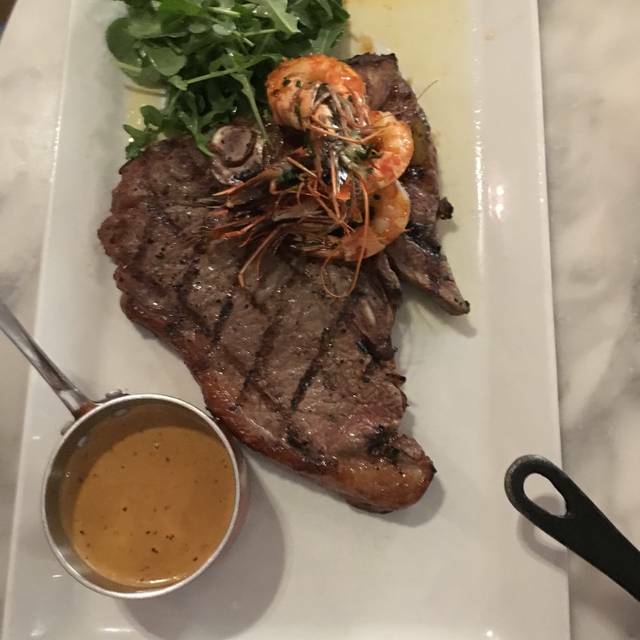 We went for the combined fillet and sirloin with a lobster. It was lovely meat however the waiter took that long cutting it in front of us the meal was cold by the time we could eat it. Overall the ambience of the place is lovely however it is overpriced in my opinion. 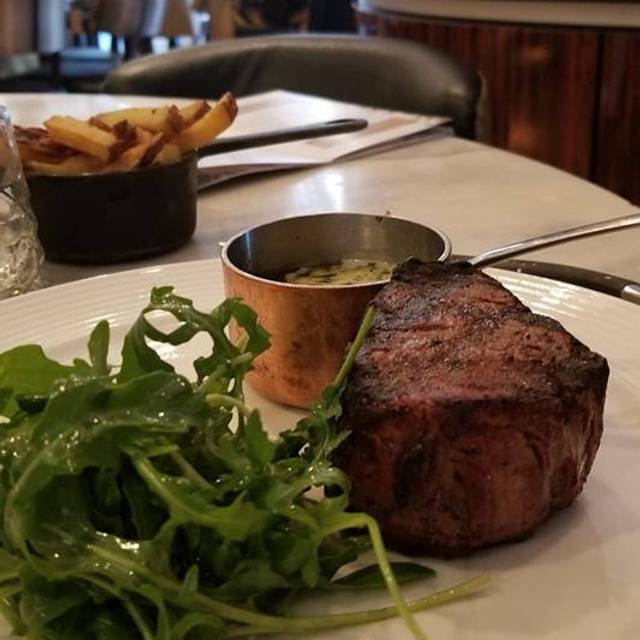 We went to Miller and Carter nearby the second night and I’ve got to say the food, service, value and overall experience was much better. 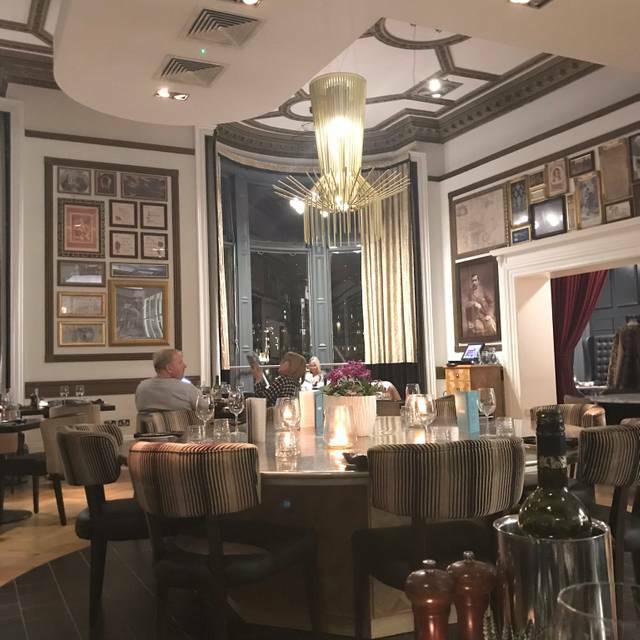 We came here on Friday for our anniversary meal and were accommodated at short notice in a lovely booth table. From entering the service was first class, our coats were taken and we were offered water which was poured for us. The food was absolutely beautiful and not overly priced either; the Twenty burger was the best burger I've ever eaten. We received a lovely surprise after our meal too which was so thoughtful. Thank you so much, we will be back! Food was of an extremely poor standard. We ate the macaroni cheese and it had no redeeming features at all . Staff were very friendly but service was non existent. Would not recommend. The Restaraunt was empty and they had run out of chicken after a busy lunch. The place was freezing . So cold next to the windows in the bar area . Amazing food. Really lovely ribs. The burger was good too. From the minute we arrived the service was on point. Staff were very friendly, extremely knowledgeable with regards to the food and drink, pleasant and kind. At one point we were advised there would be a five minute wait and because of this we were gifted a glass of prosecco each. The food was exceptional, both in flavor and presentation. We will definitely be back, highly recommended.